Is your ring too tight or too loose? 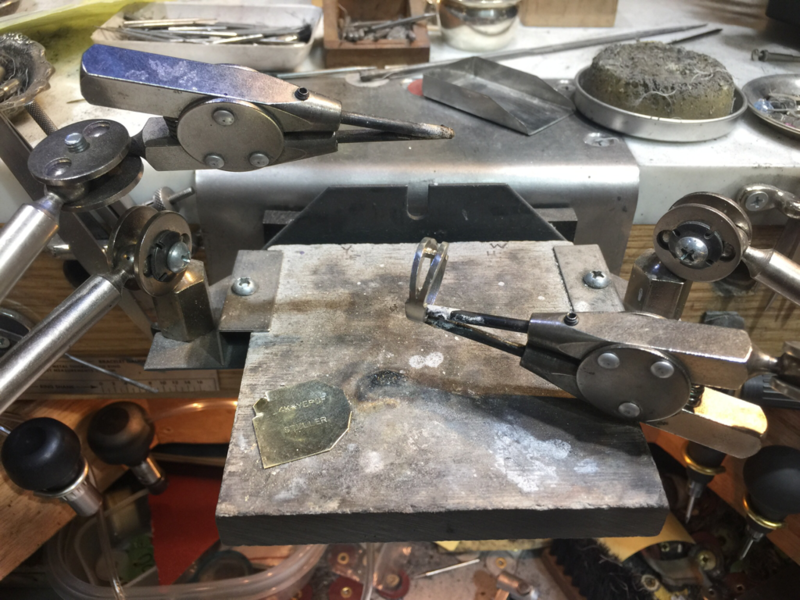 We can resize your ring in a timely fashion, often the same or next day. After resizing the ring, we will check and tighten all stones and warranty all stones under 1/10th of a carat from loss for one year. (With paid repair). If your ring is white gold and needs re-rhodium plating, we will perform that as our final step in the repair. The cost of ring varies from ring to ring due to the differences in the metals used, number of stones, and if the ring is being sized up or down. Come in for us to do a full inspection, give you a quote and an explanation of the repair. We can size engagement rings, wedding bands, birthstone rings made in presious metals, such as platinum, white gold, yellow gold, rose gold and sterling silver, etc.